These students were recipients of career program awards during the annual East Central Community College Awards Day ceremonies held recently in Huff Auditorium on the Decatur campus. Students and their respective awards include (from left) Nathan Smith of Chunky, Residential Carpentry Award, and Lauren Lofton of Carthage, Cosmetology Award. Not pictured is Nick Black of Philadelphia, Welding & Cutting "Taylor Cup” and Career Student of the Year. 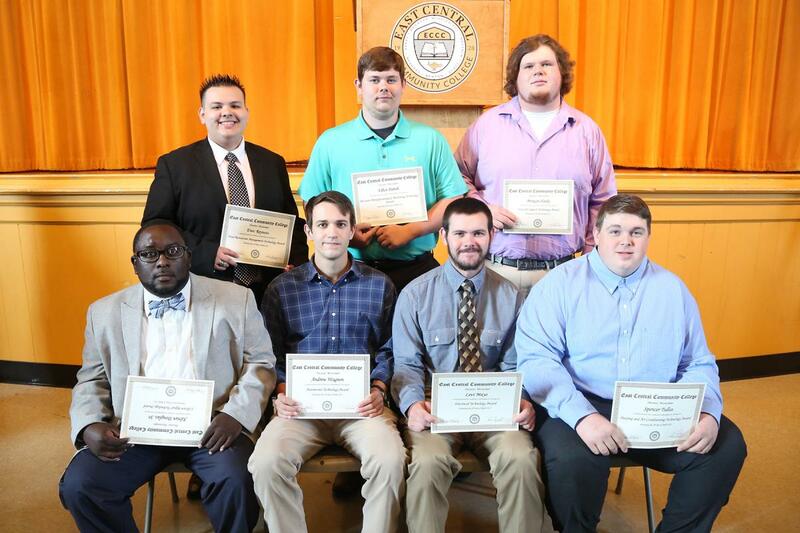 These students were recipients of various technical program awards during the annual East Central Community College Awards Day ceremonies held recently in Huff Auditorium on the Decatur campus. Students and their respective awards include (front row, from left) Adrian Douglas Sr. of Carthage, Collision Repair Award; Andrew Wagnon of Decatur, Automotive Award; Levi Mayo of Louin, Electrical Award; and Spencer Tullos of Pulaski, Heating and Air Conditioning Award; and (back row, from left) Enoc Reynoso of Carthage, Hotel and Restaurant Management Award; Elliot Parish of Forest, Precision Manufacturing and Machining Award; and Morgan Hardy of Philadelphia, Network Support Award. Not pictured are Natalie Bounds and Tiffany Anderson, both of Philadelphia, co-recipients of the Early Childhood Education Award; Alan White of Preston, Culinary Arts Award; and Paxton Holmes of Lena, Technical Student of the Year. These students were recipients of various healthcare program awards during the annual East Central Community College Awards Day ceremonies held recently in Huff Auditorium on the Decatur campus. From left are Tyler Richardson of Philadelphia, Associate Degree Nursing Outstanding Achievement Award; Tracy Holder of Louisville, Practical Nursing Student of the Year Award; and Robby Sills of Forest, Mississippi Nurses Foundation Scholarship. 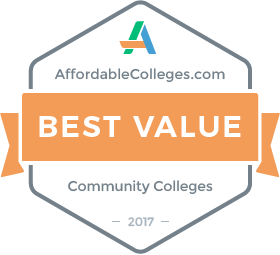 These students were special award recipients during the annual East Central Community College Awards Day ceremonies held recently in Huff Auditorium on the Decatur campus. 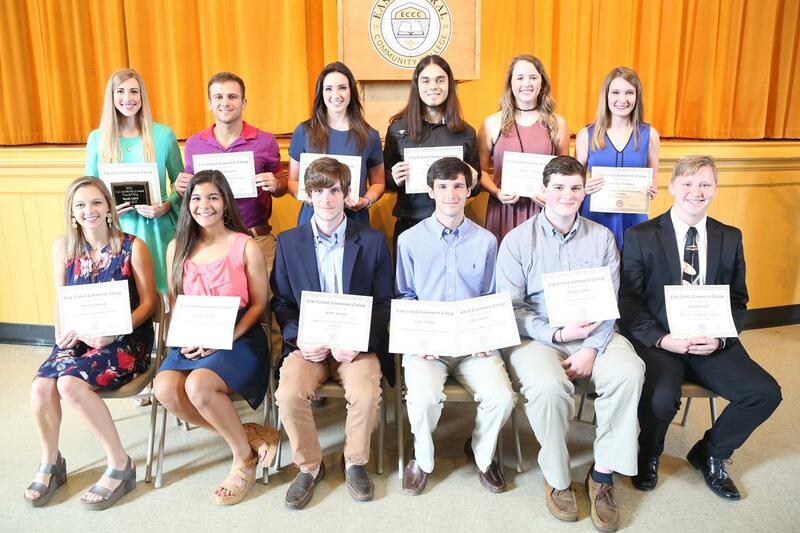 Pictured are (front row, from left) Hunter Arthur of Union, Citizenship Award; Jessica Everett of Decatur, Dr. Margaret Mosal Memorial Scholarship for Leadership; George Garner of Newton, Alford J. Deaton Physics Award; Thomas Pugh of Starkville, EC Astronomy Club Award; Sydney Battle of Philadelphia, East Central Environmental Club Award; and Makenzie Byrd of Sebastopol, co-recipient of the Richard Fisher Organic Chemistry Award; and (back row, from left) Katie McCool of Louisville, co-recipient of the Richard Fisher Organic Chemistry Award; Kenzie Jenkins of Florence and Samm Thompson of Decatur, co-recipients of the Roy Pete Award for Soccer; and Chris Johnson of Noxapater, Katelyn Edwards of Lawrence and Roshumbria Nash of Kosciusko, ECCC Gospel Choir Award. Not pictured are Takisha Lee of Forest, Ann Burkes Phi Theta Kappa Scholarship; and Jaylon Bardley of Columbus, Anthony Coleman Men’s Basketball Award. 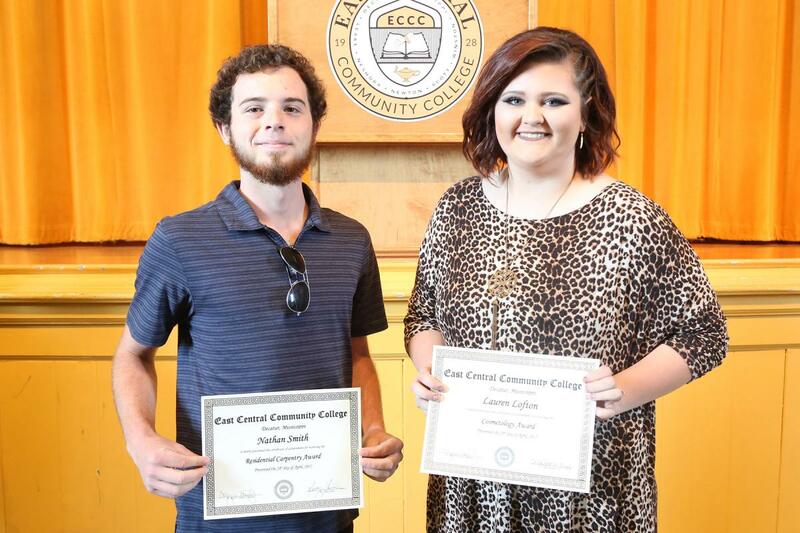 These students were the recipients of special awards during the annual East Central Community College Awards Day ceremonies held recently in Huff Auditorium on the Decatur campus. 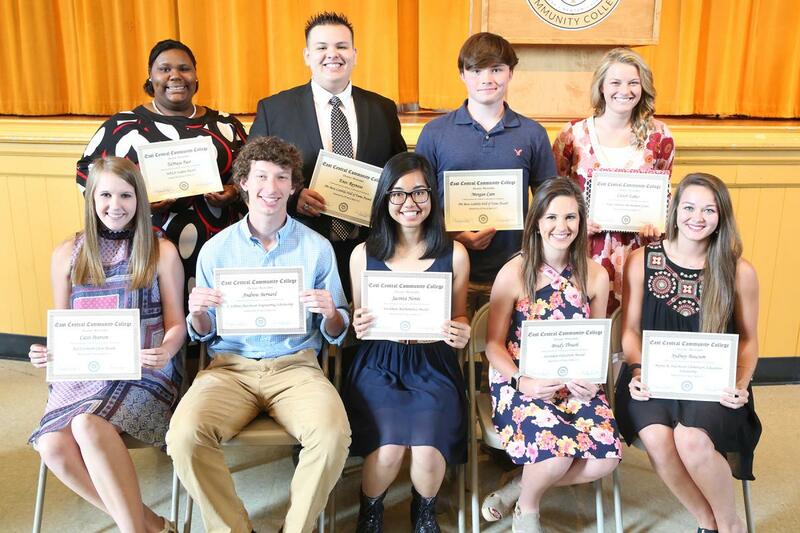 Pictured are (front row, from left) Cassi Pearson of Louisille, ECCC Concert Choir Award; Andrew Bernard of Meridian, S. Lebrun Hutchison Engineering Scholarship; Jacinta Nonis of Philadelphia, Freshman Mathematics Award and the Lucille Wood Scholarship; Brady Thrash of Sebastopol, Secondary Education Award; and Sydney Baucum of Decatur, Myrtle R. Hutchison Elementary Education Scholarship; and (back row, from left) TaMaya Pace of Forest, Mississippi Business Educators Association Award; Enoc Reynoso and Morgan Cain, both of Carthage, both recipients of Phi Beta Lambda Hall of Fame; and Clover Eakes of Philadelphia, Alyne Simmons Recruitment Grant. Not pictured are Richard Jacobson of Pasagoula, Sophomore Mathematics Award; Anastasia Crout of Lake, EC Encore Award; Courtney Bell of Forest, Mississippi Business Educators Association Award; Paxton Holmes of Lena and Khalil Triplett of Philadelphia, both recipients of Phi Beta Lambda Who’s Who; and Caleb Welch of Brandon, The Tom-Tom Award. 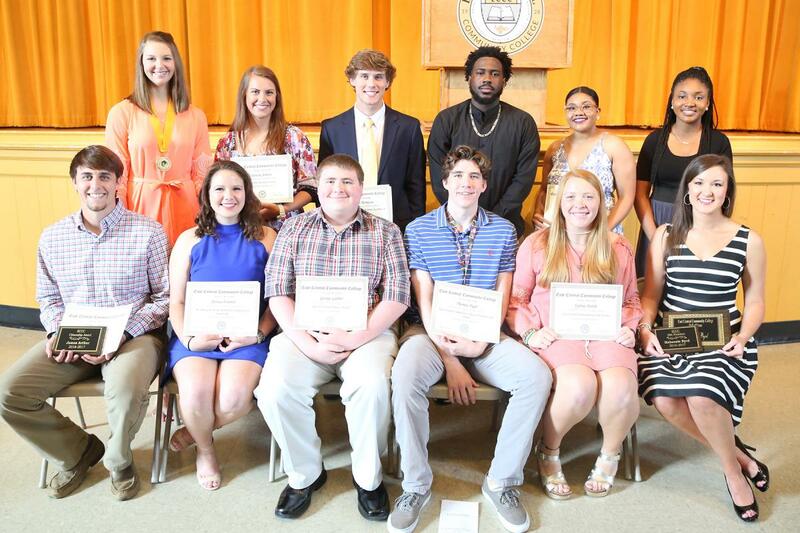 These students were the recipients of alumni memorial awards during the annual East Central Community College Awards Day ceremonies held recently in Huff Auditorium on the Decatur campus. Pictured are (front row, from left) Blake Fortenberry of Forest, W.A. Coursey, Jr., Engineering Award; Gage Leifried of Meridian, Danny Ray Killens Engineering Award; Belinda Patton of Decatur, Ruth Carr-Vincent Academic Excellence in Non-Traditional Education Award; Alexandria Crout of Lake, Alatha Chaney English Award; Cassandra Warnsley of Decatur, Sara Carr Deaton Business Technology Award; and Kristen Kennedy of Union, Sue Yarbrough Fulgham Speech Award; and (back row, from left) Samm Thompson of Decatur, Arno Vincent Award for Academic Excellence in Athletics; Trenton Evers of Forest, William S. Giffin Men’s Intramural Award; Larry Reed Jr. of Decatur, Homer F. Hunter Athletic Managers Award; Isiah Thomas of Jackson, Andrew F. Webb Football Award; Katie McCool of Louisville, Jack B. Mayo Phi Theta Kappa Award; and Abbey Armstrong of Morton, Dr. Edwin Miller Medical Services Award. Not pictured are Julia Johnston of Florence, Billy Wayne Baucum Secondary Education Award; Joshua Moore of Louisville, Opal McMullan Dickerson Elementary Education Award; Aniyah Marshall of Fulton, Earline Wood Memorial Award for Women’s Basketball; and Shaquille Benson of Norco, La., Howard Sessums Men’s Basketball Award. 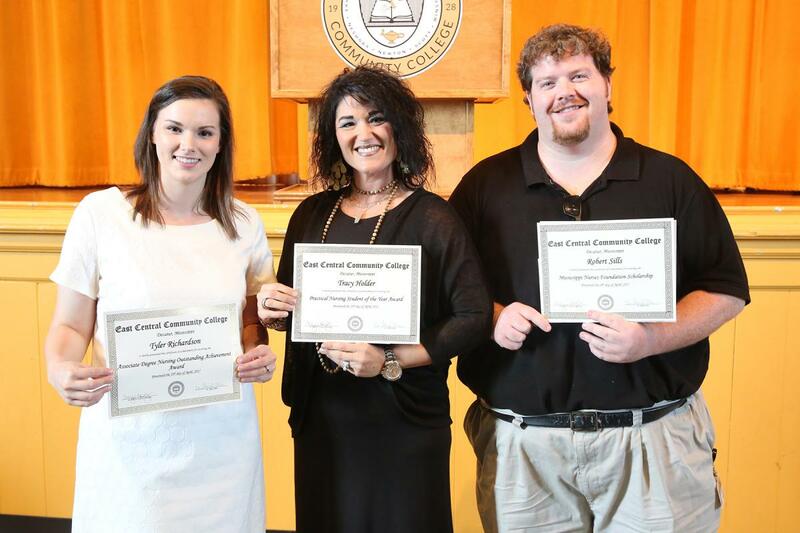 These students were the recipients of faculty memorial awards during the annual East Central Community College Awards Day ceremonies held recently in Huff Auditorium on the Decatur campus. 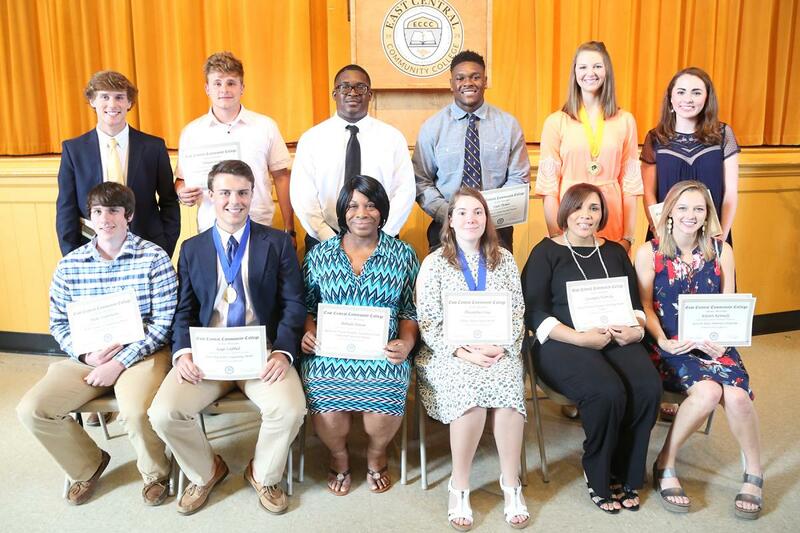 Pictured are (front row, from left) Kristen Kennedy of Union, Aaron R. Davis Memorial Scholarship; TaNissa McNair of Forest, J. Wallace Bedwell Business Award; Henry Benson of Union, Frank Edwin and Nena Holt Leatherwood Biology Science Award; Cory Furlow of Clinton, Frank M. Cross Freshman Chemistry Award and J. Andy Miller Freshman Engineering Award; Bradley Palmer of Philadelphia, O.L. Newell Drafting Award; and Jonathan Hall of Forest, Robert G. Fick Memorial Scholarship; and (back row, from left) Sarah Laird of Meridian, Ruth Hull Memorial Wo-He-Lo Award; Nathan Roseberry of Purvis, Jamie Clark Memorial Baseball Award; Makaeya Brock of Decatur, Leon Eubanks Kaljyc-Peers Leadership Award; Dillon Reed of Louisville, L.B. Simmons History Award; Breann Nicholson of Philadelphia, Thomas W. Thrash Memorial Scholarship; and Brittney Watkins of Forest, General William Patrick Wilson Academic Scholarship. Not pictured are Julia Johnston of Florence, Dr. Shelby L. Harris Memorial Scholarship; and Paxton Holmes of Lena, Charles E. Pennington Business Technology Award.